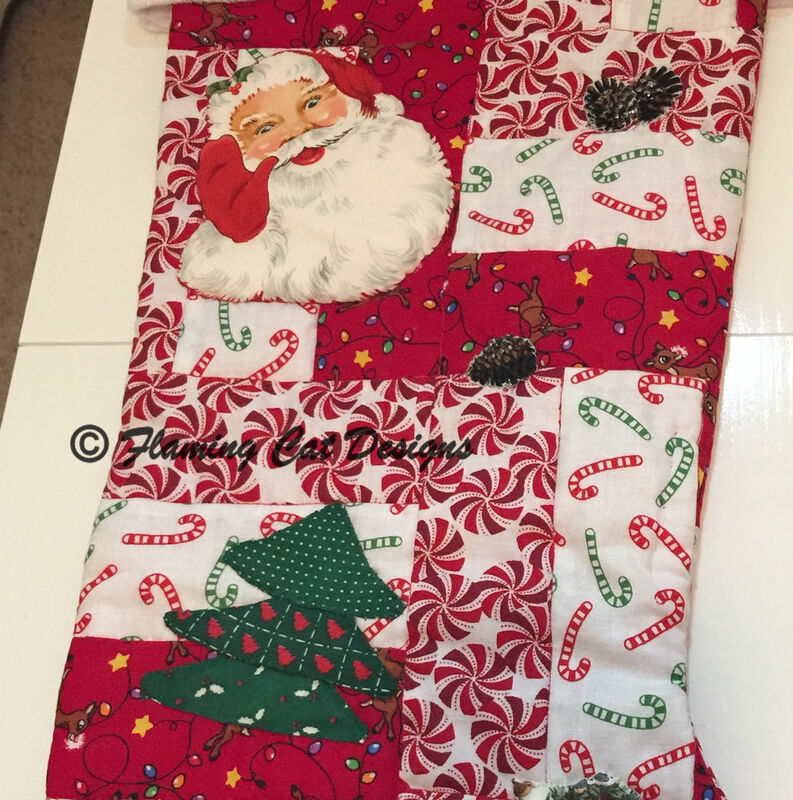 My earliest childhood memories of Christmas include every one in our family having their own Christmas stocking that was made by either my mother or my aunt. When my kids were small I continued the tradition by making each one of us our own stocking. 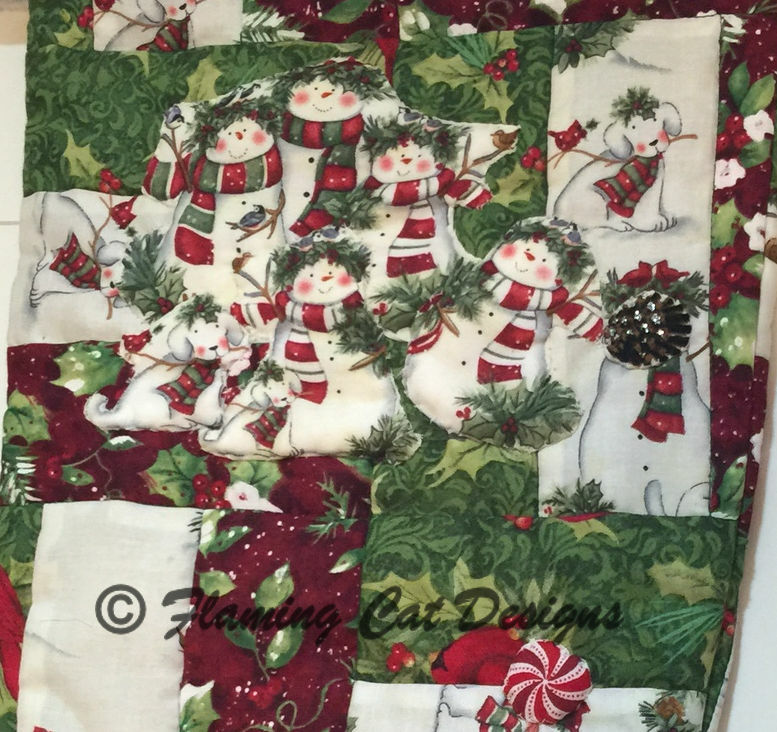 Fast forward to having grandchildren and time to make them their own stockings. 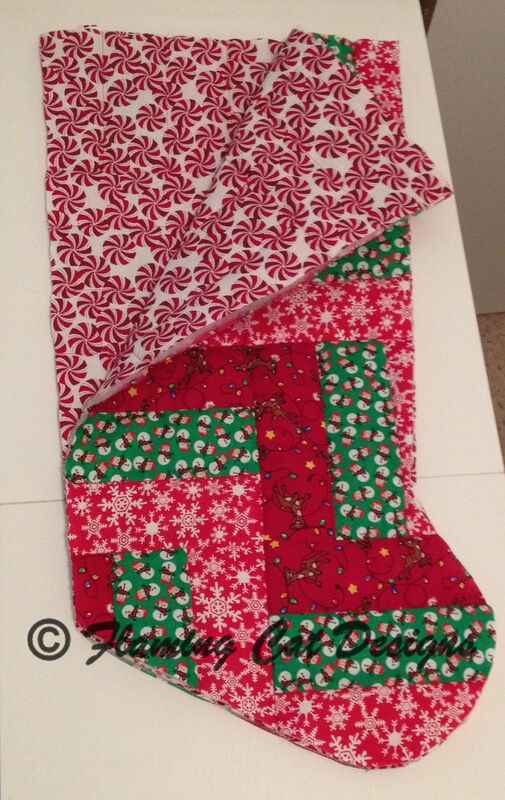 I decided to make my stockings quilted and used a classic rail fence out of strips. 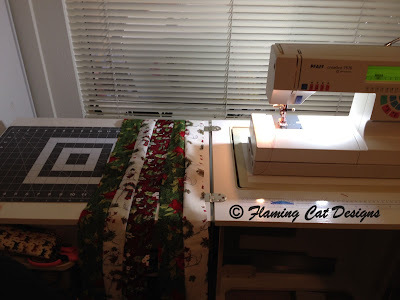 I sewed the strips together, cut them to blocks and then sewed blocks together to make tiny quilt tops. Here are a couple of them close up. 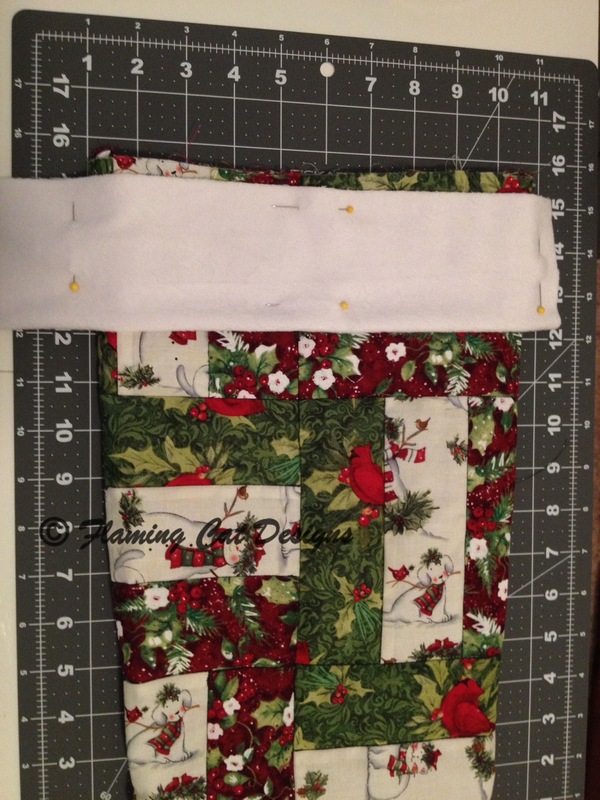 I used a poly batting and chose different Christmas fabric for the backing which will make the inside lining of the stocking. 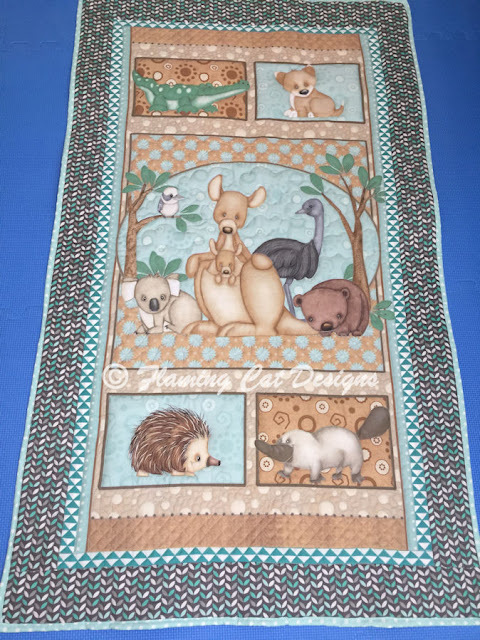 I stitched in the ditch for each of the seams. 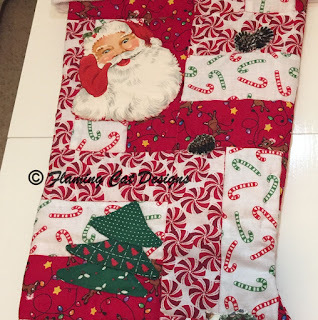 I traced one of the stockings I previously made many years ago, but made the top of the stocking a little wider as I felt it was too narrow on the other stockings. 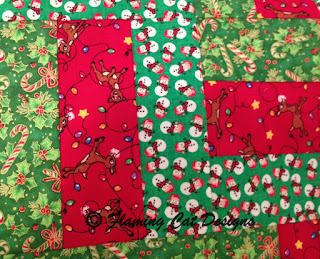 This is my simple pattern traced from my other stockings and it is ready to have a stocking cut out of the quilt sandwich. 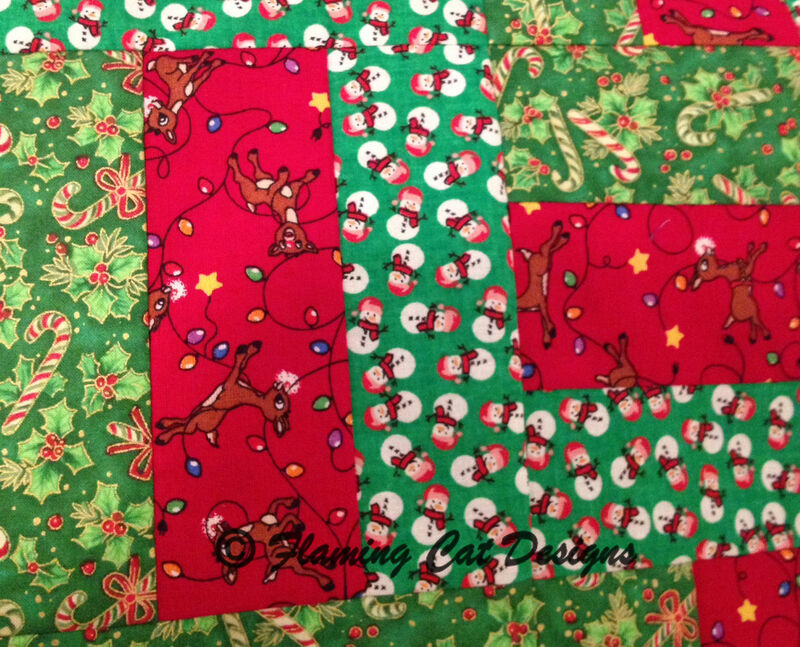 I turned the pattern over to cut the matching opposite side of the stocking. 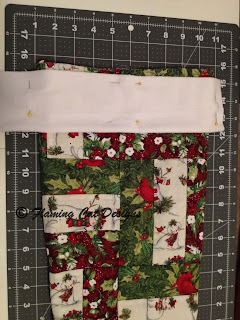 Here is the stocking with both halves cut out, they are just laying on top of each other and I turned part of it back to show what the lining will be for this stocking. Once my stocking halves were sewn together, I found some white short plush to make cuffs, measured pinned and sewed in place. I actually put each person's name on the cuffs but blurred them out on the rest of this post. 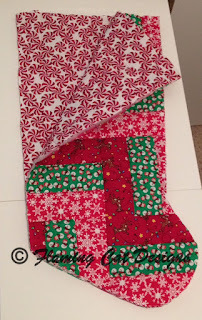 I cut out some Santa prints and pine cones and appliqued them on the stocking along with some green fabric to make a Christmas tree. Then I cut out this snowman family and appliqued them on top of this stocking, I also appliqued the pine cone and peppermint. I did applique on both the sides of each stocking trying to space them out a bit. 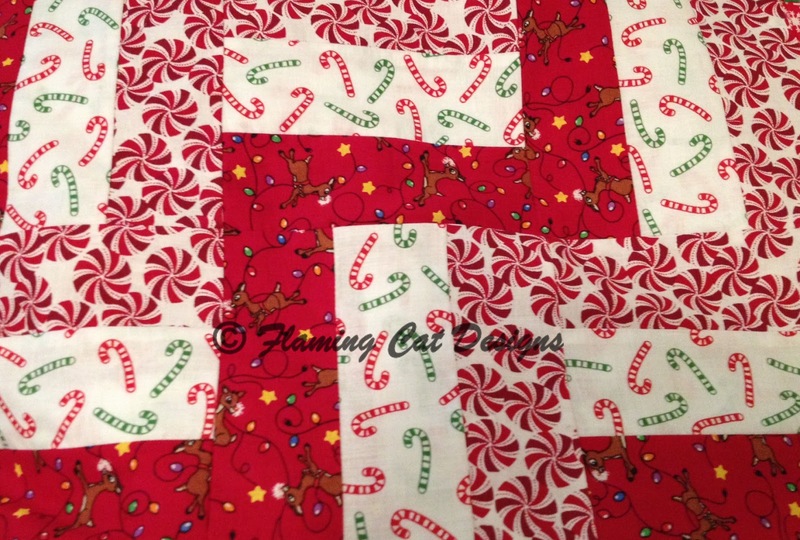 I later sewed on some cute buttons, beads and other shiny things to make them have a little twinkle. 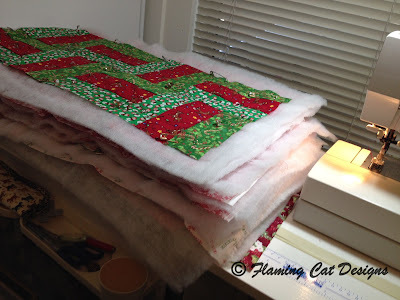 I have other projects going that I can't share yet, but I will after Christmas. 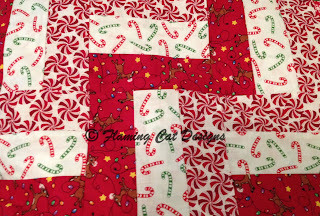 Merry Christmas to you all and I hope you get all you Christmas projects done in time.